1) start by combining the coconut sugar, water, and chia seeds in a small bowl and set aside while you prepare your nice cream. 2) combine ingredients to make your nice cream in a high powered blender. add a little almond milk at a time until your nice cream starts to blend easier and becomes smooth and creamy. 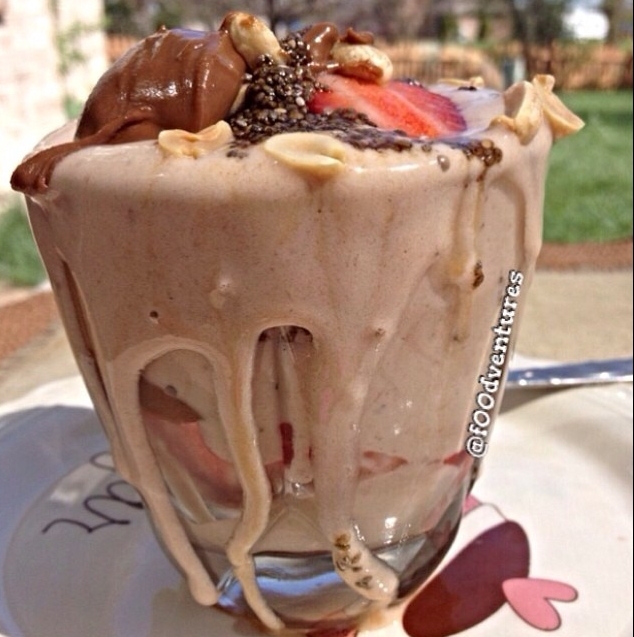 3) layer some of your nice cream into a small glass then layer some strawberries, nut butter, and peanuts. Layer the rest of your nice cream on top and layer the rest of your toppings on top of that.